These phrases are well known to children of a certain age. Little kids don't quite get why eating ice cream for breakfast five days a week is not a good idea. They may be confused about why, exactly, potatoes are food while rocks are, well, not something to put in your mouth. I mean, take a moment to consider that both come from the ground, both are covered in dirt, and both have a shape that could rightly be described as "potato-y." Can I Eat That? 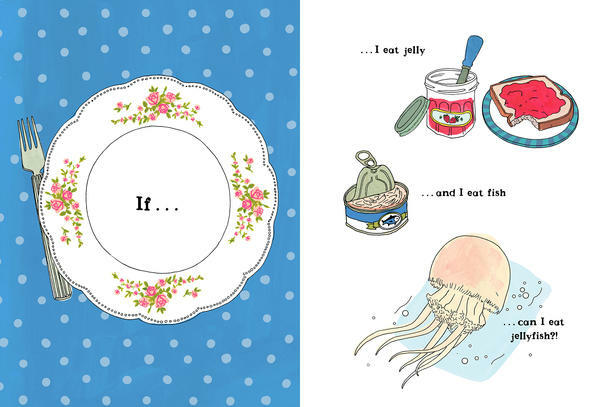 — a new children's book written by independent food critic Joshua David Stein and illustrated by Julia Rothman — plays with some of these culinary confusions. As the father of a picky eater, Stein says in a blog post, he understands that simply plopping a foreign food onto a kid's plate isn't always a successful strategy. 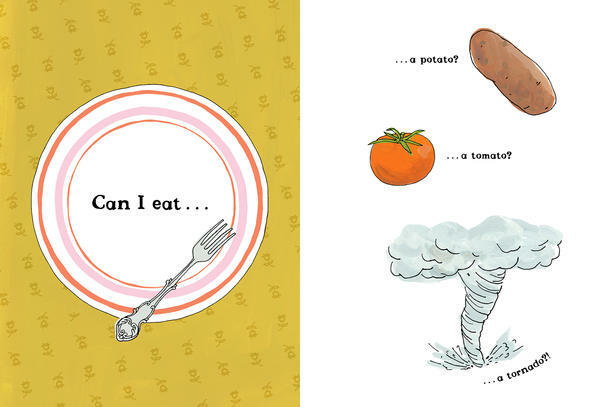 His book is a way to get young readers interested in foods they've never been exposed to before. 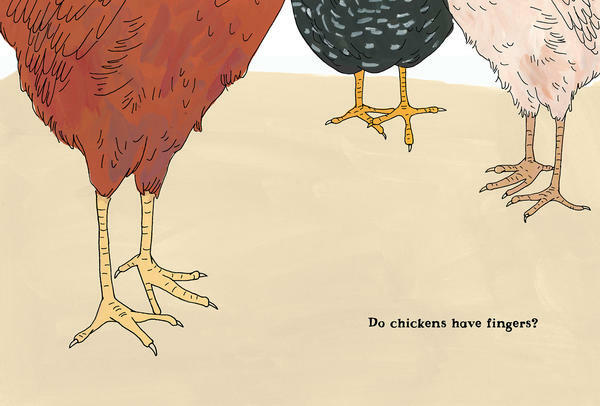 But even for older eaters, the book offers some interesting puzzles. A picture of a small, round, green object comes with the question, "Is this a faraway lime or a life-sized pea?" It's all about perspective — and piquing curiosity about what we eat. How come Welsh rabbit (more often called Welsh rarebit) has nothing to do with bunnies? Why do we eat green limes when ripe ones are yellow? Why do eggs come in different colors like blue or brown or white?